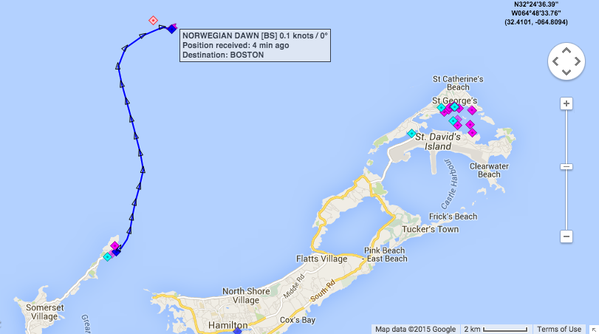 Cruise ship Norwegian Dawn has been refloated after running aground on a reef as it was leaving Bermuda. The ship, on a week-long cruise from Boston, suffered a “temporary malfunction of its steering system” according to an official statement from Norwegian Cruise Line. The incident occurred at about 5.00 pm local time on Tuesday. According to the statement, there were no injuries among the 2,443 passengers or 1,059 crew. “The ship’s officers, engineers and an independent dive team have confirmed the structural integrity of the ship. With high-tide this evening, the ship was floated and moved to a nearby anchorage position where it will remain overnight. The ship will be thoroughly inspected in Bermuda by DNVGL, the ship’s classification society, before returning to Boston. 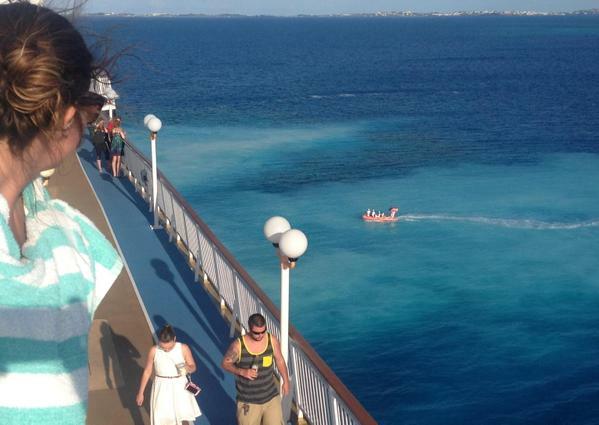 The ship is fully operational with the full complement of onboard services available to guests,” said the company. There are no reports of water entering the ship, or of pollution entering the sea. Norwegian Dawn was built in 2002. The 92,250-ton ship was given a major dry-dock refurbishment in May 2011 that included the replacement of one engine, as well as the removal and replacement of both bearings on its port and starboard Azipod propulsion units.